It’s safe to say that the quality of animated film has hit a bit of a slump in recent years. With the exception of Frozen, films Minions and Rio 2 are some of the worst animated releases to grace our screens. But watching Inside Out with a large audience of older people and young children in a cinema reminds me of the potential for animated films, mostly because the concept is devoid of talking animals and supernatural beings. The plot revolves around Riley (Kaitlyn Dias), a happy 11 year old from Minnesota whose parents decide move to San Francisco. But Riley is not the real star of the story. Instead it is her emotions at “head-quarters” who are the heart and soul of the film. Beginning at her birth there is Joy (Amy Poehler), who learns about the process of making memories, which are usually dictated by the emotion running Riley’s mind at the time. Soon Sadness (Phyllis Smith), Anger (Lewis Black), Fear (Bill Hader) and Disgust (Mindy Kaling) come along and try to co-exist. The move is the major plot point of the film and gives way to Sadness playing more of an important role in Riley’s mind. After a situation involving a core memory, Joy and Sadness are accidentally swept into the far of Riley’s consciousness, leaving Anger, Fear and Disgust to control Riley in her turbulent time. It’s not an overly exciting premise and to be honest I’m not sure I would have enjoyed it so if I were a child. But what makes it a magical film viewing experience is that it’s a story that doesn’t shy away from being emotional or confronting us with how we really feel. It doesn’t try to simplify our emotions or avoid looking critically at our most vulnerable moments. More than that, Inside Out works because it’s not a documentary about our feelings, but uses these feelings to explore the emotional turbulence of our lives. Director Pete Docter, who also wrote Wall-e and directed the excellent Up, does a great job here. He manages to make the film wise and worldly without sacrificing its sense of innocence or appeal to children. It clearly places Riley as on the edge of adolescence, and while the film can be read as a story about depression or puberty, it doesn’t go that far. By combining all these aspects together and throwing in some comedy, it’s an instant classic that can bring out a tear from the most cynical of people, because ultimately, our feelings and emotions is something that everyone can relate to. Originally published on CelebrityOz, June 18, 2015. 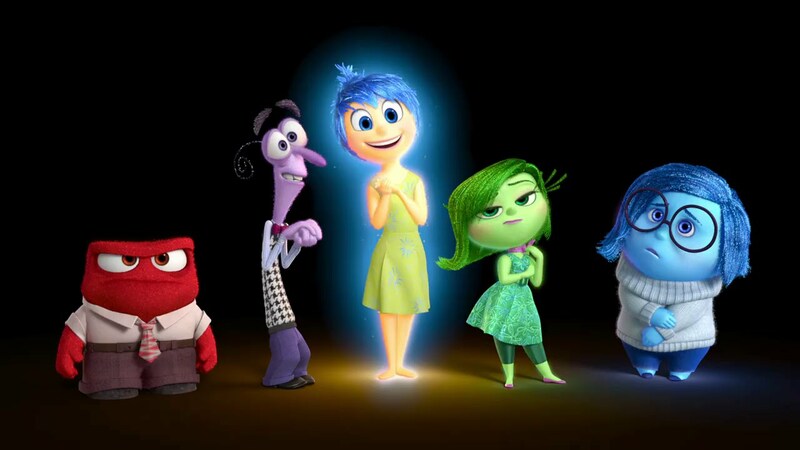 While Inside Out may not necessarily the most outright fun film Pixar has made, it is without a doubt the studio’s best.